Mindy Wright, 17, is an amazing competitive skier, world class, assured a spot in the Olympics, smashing records as she flies downhill. A devastating crash sends her to the hospital with a badly broken leg, but she soon receives even worse news, as doctors discover she’s battling a very aggressive form of leukemia. Bad as this news is for Mindy, it’s almost worse for her parents. Her mother, Lauren, in particular has poured her all into Mindy’s budding career, and she doesn’t handle this well. Lauren’s sister Juliet provides some much needed common sense and keeps the family grounded. Mindy’s condition worsens. When she needs a stem cell transfusion, Juliet and Mindy are shocked to discover that neither of Mindy’s parents are her biological ones. A hunt begins for a match. Tear Me Apart is advertised as the lengths a mother will go in order to protect her daughter, but that’s misleading. This is a book full of layer upon layer, and it keeps getting weirder. I really don’t want to give anything away, but I will tell you that there are some psychotic people in this book, hiding it well for years. As people begin to investigate the circumstances around Mindy’s birth looking for biological relatives, it seems everyone they hope to interview is dead. Interspersed throughout the main story line are a series of letters between 2 unknown girls in a mental health facility, one of whom is suicidal and one of whom seems to have an even darker storyline. You’ll begin to figure out the connection fairly soon, but there are still more twists to come. Meanwhile, a very sick girl lies in a hospital bed, counting on the adults in her life to come through for her. Can the family work through the secrets hidden in their pasts in time to save her? 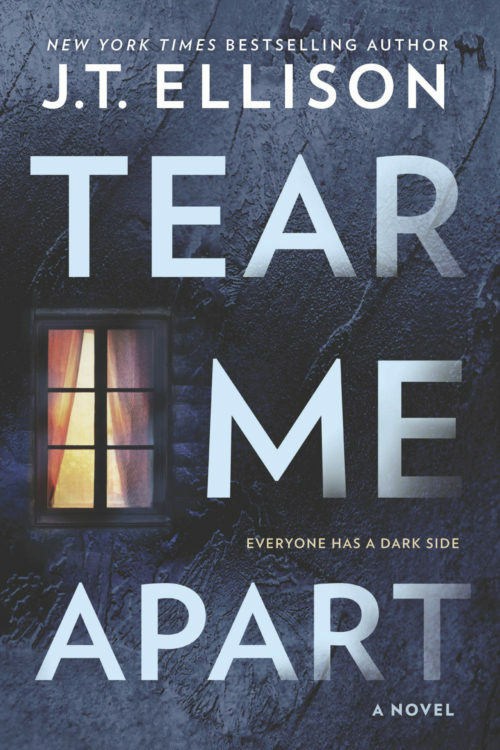 Tear Me Apart is a gripping psychological thriller, and it will keep your interest through the last page.